Finding out that your new girlfriend or boyfriend is a vegan or knowing you have to adapt your family’s Christmas dinner to meet your own dietary needs can be enough to send you into a pre-festive panic. 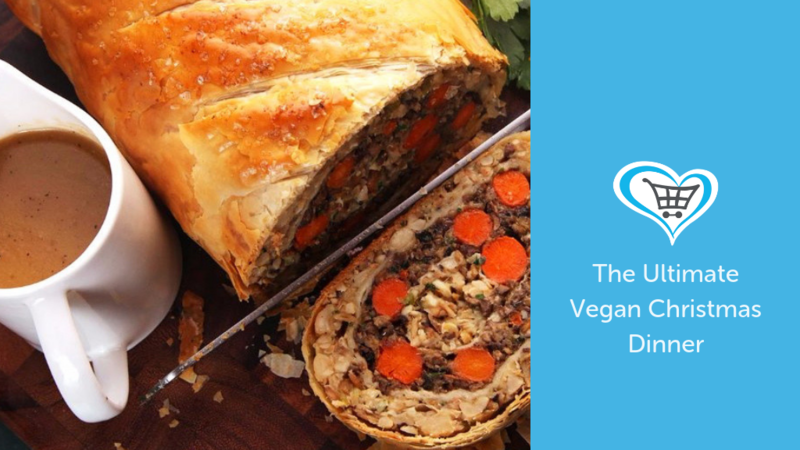 It doesn’t have to be like that, however, as this guide to the ultimate vegan Christmas dinner will show. It is surprisingly simple to accommodate both omnivores and vegans at your dinner table. It could be as easy as substituting a piece of meat for a vegan alternative and making side dishes that everyone can eat, or you might choose to make a completely separate self-contained vegan meal for you or your guest. Making versatile side dishes and just offering a meat alternative can be the best option, as it is more inclusive and enhances the sociable aspect of a meal. It can also be easier to make, given that you only have to make one simple change. Why Shop via Give as you Live? By shopping via our links, website or app, you can raise FREE funds for the charity of your choice. We are paid a fee for every transaction completed online that comes from us; we turn that fee into a donation and pay it to the charity you select, for FREE! It costs absolutely nothing to sign-up for an account (and it only takes 2 minutes), and you won’t pay a single penny more than the total of your basket when you shop. It really is guilt free shopping! Plus, you can keep track of how much you’re raising in your account, and earn free bonus donations just for shopping regularly via us. Who are Give as you Live? We’ve raised a whopping £10,000,000 for UK charities just through online shopping. We have over 4,200 stores listed and over 200,000 charities.